Alert! 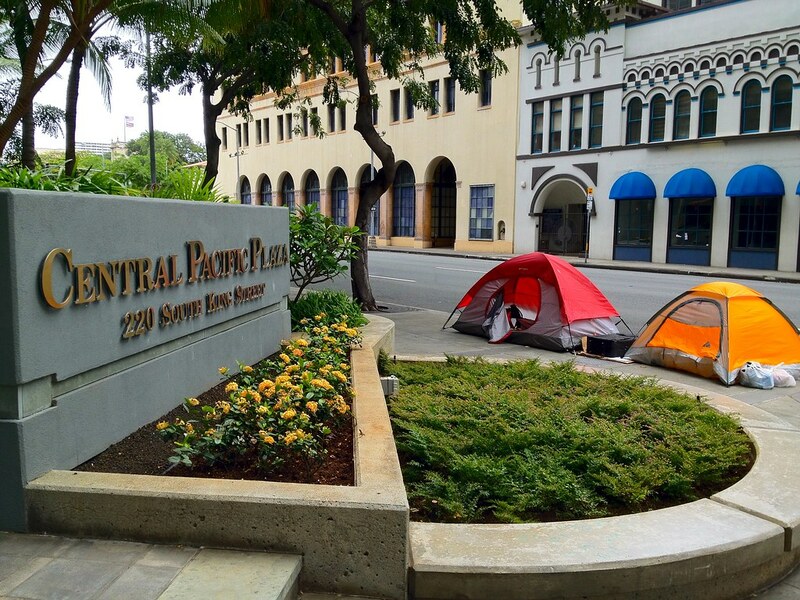 New attempt to criminalize the poor and homeless: Honolulu City Council, after deferring Stanley Chang's Bill 59 criminalizing homeless, is pushing Ikaika Anderson's Bill 6 (scheduled for hearing Tues 1/14 at 9am). What's the deal with Bill 6? For merely erecting any "collapsible structure capable of providing human shelter" on the sidewalk or mall you get a year in jail and $1,000. Who are trying to find human shelter in a collapsible structure on the sidewalk? We should get them off the sidewalk by increasing the minimum wage and reducing the cost of housing, not by providing the prison industrial complex with an influx of cheap/free labor. And at your expense, by the way. And what of families and children in those collapsible shelters? Do we have the resources available to care for the kids? Many of those dwelling in collapsible shelters are working -- bread winners for kids under a non-collapsible roof. What happens to those kids? And what happens to the juveniles who have run away from abusive households to seek shelter in these collapsible shelters? Are they also subject to arrest? None of these questions find accommodation in the bill or any other ordinance proposed by the City. Bill 6 is sure to cause havoc before being challenged in court where Bill 54 (from 2011) and Bill 7 are. Why don't politicians attack the root of homelessness and poverty instead of its victims? Why do they act like servants of the rich and corporations? Why are there always accommodations for giants like the multinational GMO corporations and developers, but the poor are criminalized and jailed? Bill 6 comes up for second reading (three readings will pass it) on Tuesday, January 14, at 9am at Honolulu Hale. 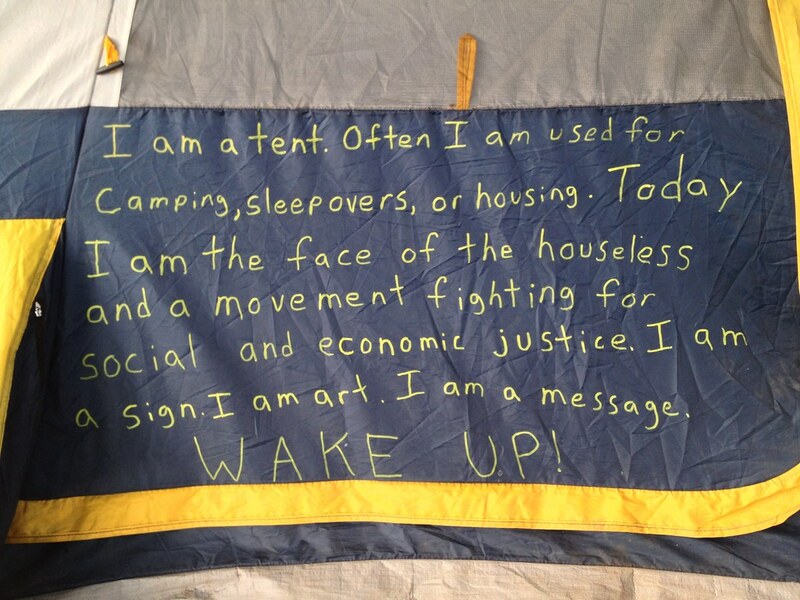 Oppose Bill 6 and the criminalization of homelessness. End the corporate ownership of our government! Here's a link to Bill 6 itself.